Sharing the Good News is at the core of what it means to be Christian and Lutheran. New congregational starts are one of the primary ways that people come into a relationship with Jesus and the church. 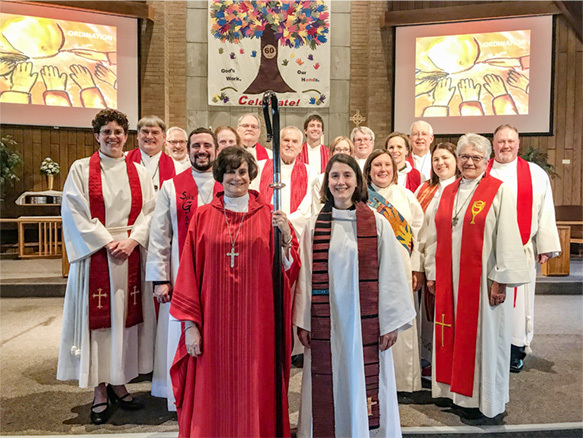 It has been more than five years since the Southern Ohio Synod has launched a new congregation. We know where there are opportunities in our Synod to begin new communities of faith. This is the time for us to fulfill our call and to meet the needs of those who want to be church, those who are seeking, and those who do not know Jesus yet. 1. Up to two larger congregations will be invited to expand their ministries by establishing satellite congregations in targeted areas. The Thrive campaign will provide each founding congregation up to $100,000 per year for three years, after which the founding congregations will assume full support their satellites. 2. It is hoped that at least one launched satellite ministry will welcome a population not typically found among Lutherans (e.g. Latino, young adults, persons of color). 3. If no congregation willing to start a satellite can be identified, the Bishop WILL take action to start a stand-alone congregation with funding up to $500,000 over a five-year period. If the challenge gift amount of $2 million is reached, two congregations will be launched. Other costs will be absorbed by the new community through their offerings and gifts.